Photo: Road to Puerto de Peñas Blancas from Jubrique. Eastern Mojave Vegetation Road to Puerto de Peñas Blancas from Jubrique. 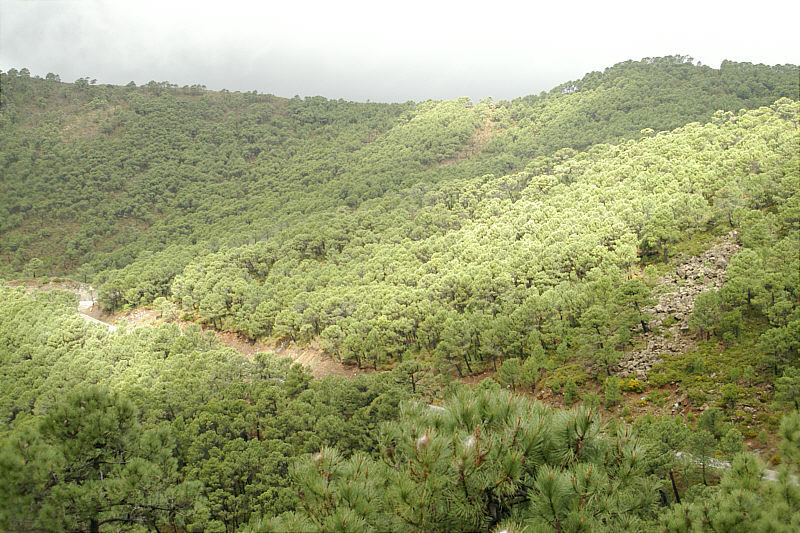 The road to Puerto de Peñas Blancas from Jubrique winds 18 km, in and out of three or four large valleys, forested with oaks at the lower elevations that give way to pines at higher elevations. I would estimate the elevation at this point to be about 1000 meters.